Can smartphones replace a General Practitioner? The fab Dom Cushnan and I are working on some thought pieces exploring technology, health and care. We would love this to start a discussion so please let us know what you think either here, on Dom’s blog or over on twitter. This discussion piece has also been posted on Dom’s blog. The modern day has been characterised by a constant evolution in the technological industry. Technology has brought about increased efficiency and effectiveness in multiple different fields. The concept of Artificial Intelligence has also evolved extensively with the perception that technology can replace human expertise due to its ability to process huge amounts of data, it’s speed, large storage capacity, ease of access and accuracy. In the field of medicine, most technological developments have been introduced to aid and support longevity of human life as well as assist in the diagnosis of patient conditions. Recent demographic changes mean, demand for healthcare has increased significantly and as a result even getting an appointment with any general practitioner has become quite difficult (Curtis, 2013). However, technology is trying to provide an alternative. Several mobile applications have been created that hope to offer some of the general practitioner’s services. For instance, the creation of MD, which makes use of Artificial Intelligence to mimic a consultation with a general practitioner, has been found quite effective. It works by taking a user’s symptoms and providing a list of what ,what the person’s illness might be. The mobile application has brought out an effortless way to make an initial check on an individual’s health without the cost and inconvenience of an appointment with a GP.. With the increased demand for healthcare services automated mobile solutions powered by big data and increasing use of Artificial Intelligence are becoming a more attractive solution than visiting a practitioner. The MD application has been created from a collection of various knowledge databases pooled into one big system. But databases are fairly static and this system is dynamic, it has an additional distinct element that is; it learns from every consultation. Every interaction with a user increases its knowledge base and its accuracy(Murgia, 2017). This is the real power that mobile applications have, harnessing the social capital that comes from being in the phones of tens or hundreds of thousands of users, learning and improving with every interaction. MD has around 90+ million users per month to learn from, even the most productive individual GP would struggle to see 1000 patients per month. There are also interesting developments in the management of chronic and complex conditions with applications that can monitor heart condition atrial fibrillation or diabetes also being developed. This marks an increase in support for the self-management of patients conditions with access to diagnostic information previously the preserve of specialist labs, it is a potential shift in the power relationship between patients and medical practitioners with increased expertise being available to the patient. Applications are enabling patients to monitor their own physiological responses with increased accuracy and convenience, Data such as blood pressure,blood oxygen levels can be collected easily and sent to the medical specialists reducing the amount of time that an individual spends at a specialist and also simplifying the practitioner’s work. One benefit of these applications is the vital role they can play in assisting the doctors by handling the simpler queries, providing them more time to concentrate on the more complicated conditions and patients who require more time, more care, more compassion, more of a human. Applications like Babylon Health are streamlining the whole consultation process, reducing the waiting time to meet a practitioner, by providing their users with an option to hold a phone or video phone consultation with a doctor at short notice (Thomas, 2016). This service is made available seven days a week resulting in a reduction in the demand for a face to face consultation and so a reduction in waiting times. Miniaturisation of biosensors which allow regular measurement of health-associated physiological signals and responses has also had an impact on what is possible with mobile health apps. The ability to monitor human physiological changes in real time during different activities has moved from a specialist laboratory function to an app found on your smart watch. As a result of this real time data, right at the users finger tips (or wrist), with the ability to record and analyse the data and advise on diagnosis and manage conditions the expertise in managing a condition gets a meteoric shift towards the patient. These devices are able to monitor an individual’s physiological changes in real time in different environments.,Perhaps most importantly, studies show that the combination of the biosensor information with regular medical measurements can recognise early symptoms of conditions as obscure as inflammatory reactions and Lyme disease, and can provide a distinction between physiological differences of insulin-resistant and insulin-sensitive people. Affordable, miniature mobile biosensors provide the user with levels of complex physiological data that were previously the preserve of university laboratories, the data and AI infrastructures behind the apps convert this date into useful information for self management of anything from lifestyle changes to complex conditions. This is truly democratic, providing the tools to enable disadvantaged communities to access complex diagnostic information and affordable health care tools which may have been denied them by geography or socioeconomic reasons or by privilege of birth in the previous centuries (Li et al., 2017). These diagnostic devices would have been the stuff of science fiction 10 years ago but there are now a plethora of wrist based diagnostic tools available to us, Apple, with it’s aspirational brand and image, continues to lead the use of technology to influence and manage every aspect of our lifestyle And whilst its Apple Watch is far from cheap it is a lot more affordable than a personal EGC technician. Apple has perfected the trick of getting us to willingly participate in physiological experiments and diagnostic investigations that we would have avoided a GP in fear of generations past. The smart watch that knows where you are, how fast you are moving, how many steps you are taking, what your heart rate is, how steep the hill you are climbing that watch exists today. The watch of tomorrow will do all this and and more, it will measure electrical signals and secretions on your skin to capture data about your level of excitement or nervousness (Marks, 2014). It will be able to measure glucose levels, lactic acid thresholds and more. This points to future applications of mobile based health applications that can have an influence and impact well beyond the individual to a population level. Already a mobile phone diagnostic tool exists that can instantly detect bacteria and viruses at different geographical locations in the world. This device is created through re-engineering of the existing technology responsible for basic blood glucose monitoring of diabetes. From this technology, a biosensor that can track deadly diseases like influenza, HIV or Zika virus by use of a DNA swab has been designed. All the patients are required to do is to put saliva or blood sample onto a stick-like sensor, then put it in a module which is entered into a mobile phone analysis and diagnosis. This method is more portable and economical than laboratory tests, making it particularly appropriate for infectious diseases in the developing nations. The gear can be used in the monitoring of stress levels and other common illnesses. Therefore, these devices are a proper means of controlling the spread and management of infectious ailments and effective in self-diagnosis. Combine this with the miniaturisation of physiological monitors , add them to watches, distribute widely and you have a population based live public health monitoring system, based on mobile phones and watches. However, despite the growth of technology-based diagnostics and the continued advancement of technology, the use of smartphones has not yet replaced the human General Practitioners. Nevertheless, the potential of artificial intelligence, big data, self-management and the democratisation of health expertise does give hope for a different future where algorithms replace the general practitioners, at least in part. (Mellor, 2016). The continued advancement in technology has brought about more efficient and effective ways to tranquil operations in various fields. However, in the sector of medicine, this growth has been quite significant. Currently, most mobile applications have been designed to monitor an individual’s wellness as well as their fitness. Other gears have also been created to offer a self-diagnosis hence, saving time and costs of visiting a general practitioner. This technology is reliable given the increase in the number of serious illnesses facing people across the world. Also, there has been a development of a device that can immediately detect any presence of bacteria or viruses at any region. Such an invention can help in the management of the spread of infectious illnesses. Moreover, there are other mobile applications which can monitor physiology and personal activities. However, despite that technology has brought about cost-effective and portable means of diagnosis and health management, the smartphones applications have not been able to replace an individual general practitioner. The development of more and more sophisticated technological mobile tools that are aimed at helping us to manage our lifestyle and our health has the opportunity to radically change how health care is delivered. The old power relationship between medical expert and patient is being disrupted. Patients now have potential access to some of the most powerful physiological measurement and diagnostic tools on their phone or wrist. This should allow us to build models of healthcare where patients are experts at self management of their conditions and are able to access the medical expertise only when that human input is needed. It should also allow clinicians to become the experts in the human bit of health care. With the demographic led increase in demand for healthcare leading an inevitable capacity crisis this might not be just the stuff of science fiction, it may be our only hope. Li, X., Dunn, J., Salins, D., Zhou, G., Zhou, W., &MiryamSchüssler-Fiorenza Rose, S. et al. (2017). Digital Health: Tracking Physiomes and Activity Using Wearable Biosensors Reveals Useful Health-Related Information. Imagine taking some time…Imagine taking some time to wander, to notice, to be. Imagine taking some time to wander and to notice and to be and to ask questions…important questions…questions that matter to you, to work…questions that have been troubling you, questions you need some answers to. And then imagine that as you wander your question is challenged, explored, delved into, more questions are raised, more insight gained, more knowledge found. Imagine that some new ideas also appear, some suggestions, some answers, some inspiration. Imagine that these ideas and answers start to coalesce and form, some fresh thinking emerges, some new insight, a way forward is found, a next step, a deeper conviction, a way through the fog, some renewed energy. Imagine what that wander would feel like! In our fast paced, complex and reactive world we don’t really have the time to have a wander, to notice what is around us, to be. But if we are to navigate this complexity then exactly the thing we need to take is the time to think, to notice, to reflect. First, you tune up your senses so you can pick up much more information from the urban environment that you would normally. Finally, you gather together again to share what happened wonder at how magical an ordinary street can become when you’re really aware of those hidden messages, chance meetings and unexpected discoveries. But you knew all that already, what is less well known is the fact that walking makes you measurably more creative. The research of Marily Oppezzo and Daniel L. Schwartz from Stanford University demonstrated that walking outside boosts creative ideation in real time. This is just the sort of experience, inspiration and impact that Street Wisdom has. It is the art of purposeful wandering, allowing the street to be our university to aid our learning and to inspire our thinking. Street Wisdom can help us with our well being, it can helps us to connect with our environment, to be active, to notice and learn from what is around us and it can help us to be more creative, what’s not to like? At the start of their wellbeing week Oldham Council started on a Street Wisdom journey with a group of explorers meeting outside Oldham Gallery for their first Street Wisdom experience and here is one participant’s story, Dan Caborn is an Organisational Development Consultant with Oldham Council and this is his experience in his words . “Although familiar with using similar mindfulness and coaching approaches, I turned up on a beautifully sunny morning looking forward to the full emersion Oldham Town Centre and Street Wisdom could offer. Following a series of 10 minute wanderings contemplating a number of questions designed to heighten our senses (What do you notice? What patterns and meanings emerge from what you see? What happens when you slow right down & notice the minute? What do you appreciate when you see the beauty in everything) I was ready to tackle my ‘quest’ and ask the street to provide some guidance to help me answer my ‘question’! On noticing a single ladybird carved into just one of 100 or so base stones of some iron railings it made me realise that the small, unexpected but beautifully designed things matter to the overall effect. Individually, these sound like quotes from 1001 Business or self-help books but at the time they had real resonance and meaning to my train of thought and that for me is the key to Street Wisdom. The discussion when the group returned to our rendezvous point was quite striking in that we had all had some great & meaningful experiences as well as covering a serious number of miles between us, not to mention the sunburn! Did Street Wisdom solve my ‘problem’ and transform the business? Well no, nor was it likely to given the nature of the ‘problem’ I chose to consider but it did give me a renewed energy, positivity to try again, a couple of anchors to draw on when I feel struck again. Thanks to Dan for his great reflections. Oldham Council are planning 7 more sessions in the early autumn. If you are interested in how Street Wisdom can help you, your team or organisation you can find out more by contacting me (your local Street Wizard) on twitter @kevwyke or email or on the phone +44 (0) 7944513977. Or you can get in touch with the Street Wisdom team at www.streetwisdom.org. I spent the afternoon at The Wellcome Collection with the Leadership Impact group I am supporting (an impact group is a bit like an action learning set). It’s the first time I’ve visited the collection and I highly recommend you give it a try. One of the reflections of the group was how the space and environment we are in changes how we do work and it’s something we don’t pay enough attention to. The Wellcome Collection is a really interesting space with lots to stimulate, provoke and to get you thinking. Ann Veronica Janssens’ installation was a particularly bonkers experience, walking around inside in dense pink fog definitely challenged my perception and conciousness. The Tibetan Buddhist yogic and meditational practice exhibition was absolutely brill too with real relevance to healthcare and compassionate leadership. This quote was popular amongst my gang. I have taken the Harvard Implicit Bias tests a number of times and I’m still not entirely sure what the results are telling me. Having grown up in a society awash with gender stereotypes the ability to connect femaleness with family and maleness with career (this is what the gender test measures) isn’t surprising, the media bombard us with the connections endlessly so the ability to more quickly connect those on the test doesn’t come as a shock. Does that demonstrate a bias? At one level I am sure it does but at another level I really don’t know. It does demonstrates that I have noticed the guff the media feed us all and those neural connections are easily accessible to me. But will this necessarily influence my behaviour and lead to prejudice? I guess what it does highlight is the fact that we are fighting against something much bigger than ourselves. These stereotypes and cultural norms surround us and set the benchmark and the expectations of society as a whole. Examples abound, how much female sport is on regular TV? How many famous women have a statue in Manchester (Answer, one, and they are just this week talking about adding a second). So is it inevitable that just because I have been surrounded by a biased world I will be a biased person? I hope not, because if that is the case there is no hope for any of us brought up in Britain (or I guess any where else that I can think of). In my concious world I continually battle against bias, it is something I talk about openly and often, particularly at home. My wife is a fiercely independent woman, I would never presume to set expectations about what she should or shouldn’t aspire to or achieve, I am hugely proud of her achievements and will applaud (and support) her aspirations whatever they are. My daughter is a feisty teenager and we have brilliant debates about how much she hates Bond films for their misogyny and portrayal of pathetic subservient female characters (btw how did they get to be spies if they are so pathetic?). So I guess my reflection from taking these tests it that it will be important to keep a dialogue going in the conscious space that challenges the pervasive and unhelpful stereotypes and social norms that surround us and not allow them to set standards and expectations by default! I am a faculty member of the NHS Leadership Academy and this post was written as part of my reflections of a Diversity and Inclusion programme that I am undertaking with them. I’ve not seen Prof Andy Miah talk before, but he is a bit ace (and should have had a bit more time on the platform today IMHO). He had some really interesting points about the data that already exists that has utility for our health benefit and he highlighted this with the possible use of data that Spotify has on our mood (you tell it every time you pick one of those mood based playlists) and there are loads of other apps we give data and clues about our health to. This all sounds really exciting but we are also heading for a big problem, the same problem you have when you want to move from Apple to Android…your data is locked in and you don’t own it. 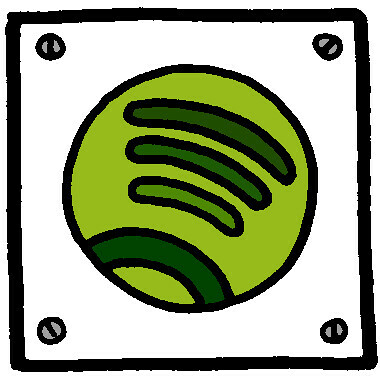 You are basically at the whim of Spotify if you want your health data and good luck if you want to get to it easily. Our data might useful when it is looked after by the likes of Spotify, however it is potentially much more useful if it can be easily combined with data from Facebook, Google, the NHS etc. etc. and shared openly for the common good. We are a long way from being able to do that. I’m at The Future of Hospitals conference today (thanks @stickythinker) listening to Raj Jain from @SalfordRoyalNHS. What was really interesting to me wasn’t the whizzy tech, data and analytics based stuff he presented (that included amazing predictive analytic model that give more than a glimpse into the future allowing hospitals time to react to ebbs and flows.) As Raj himself said this stuff isn’t rocket science, the technology exists and the analytics exist, Salford’s innovation is to put it into practice as the whole system scale. If you don’t have the culture right it doesn’t matter what IT/data systems you have in place. What he said must be in place for transformation at scale are ‘Purpose’, ‘Mindset’ and ‘Behaviour’. And Just look at the size of the ‘behaviour’ bubble on his slide above. I think we often find a tech or process solution and try to apply it without paying anything like enough attention to the cultural aspects. Our attention might be drawn to the fancy whizzy tech solution with its alluring promise of more insight and more effective use of capacity but if we don’t focus on the human stuff, how we have real conversations together, how we collaborate together, how we build the culture around us, if we don’t pay attention to that then digital systems won’t really make a difference. Leapday had a big impact on me, it came at an important crossroads in my life/career and marked a watershed in how I thought about my work future. I wasn’t sure if I was even going to go in to the cafe to begin with (and walked past the door at least twice). I’m glad I did cross the threshold though becuase the opprtunity to spend some time with people talking, drawing and painting had a massive impact. Practically it gave me an opportunity to explore the new road ahead (although at the time I’m not sure I knew that was what I was doing) it connected me beautifully with a group who I only vaguely knew and gave me a safe space and a whole new vocabulary to learn about myself and the people I was spending time with. It absolutely resonates today for me. It reminds me constantly that in the work that I do the experience that people have and their chance to explore that experience in conversation with others is more important than content. It was the start of some great friendships that have endured and have helped me to think about things in a very different way. It’s fair to say it came at the right time for me, but it was also the right thing to do to help me think deeply about where I wanted to be. It is still an event that I think about frequently and more importantly Leap Further was conceived on that day. I was asked if I had any thoughts on evaluation this evening, well I guess they wanted to know if I had thoughts on evaluation at any time, it’s just that they asked me this evening, anyway it turns out I didn’t. It’s not that I don’t have any thoughts at all on the subject, it’s just that I can’t pull anything insightful straight off the top of my head at 8pm on a Monday evening. I decided to give that twitter place a try and see if I could find some inspiration there and you know what, it certainly got me thinking. First challenge was to define what was I actually asking about – I clarified slightly that I was talking about evaluation of programmes and interventions like leadership/management development programmes or OD interventions. He also pointed to one of his own blogs about mapping ROI in this case for social media, but applicable widely – good quick read, thx Ian. 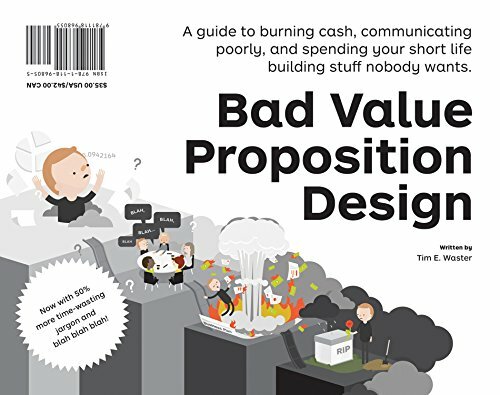 His final offering really got me thinking – how could I use one of my favourite frameworks, Alex Osterwalder’s Value Proposition thinking to support evaluation. This approach would mean evaluation was driven by the customer (learner) and the value they have derived (or perceived to derive) from the learning experience. At the other end of the spectrum Julie Drybrough reminded me that even big brains struggle with this stuff, pointing out that someone has produced a 104 page evaluation of a Google Leadership Programme that doesn’t mention the learner experience at all. There are some folk who take evaluation, and it’s cousin Evidence Based Practice very seriously. Thanks to Siobhan for pointing me towards the Center for Evidence-Based Management and the amazing (and slightly intimidating) amount of resource they have available. Con Sotidis went a stage further and found me a free webinar of the actual Kitkpatricks, presumably talking about the Kirkpatrick model. – Loads of other great stuff there too – Makes you wonder why we bother trying to put anything together ourselves? I also had a look at The LnDConnect LinkedIn page to see what was there, and found a couple of interesting storifies of #LDInsight chats that were related. Ken Fee also came up trumps and shared some great resources from Training Zone, which has introduced me to the Success Case Method and Robert O Brinkerhoff. He notes that we often make the mistake of evaluating learning in isolation as one off events, which is like testing the success of a marriage by evaluating the wedding. No deep thinking yet, just a couple of reflections. Evaluation at the end is too late, it has to be an ongoing and iteritive process. What’s the use of a happy sheet at the end of a one day workshop? Really! Evaluation should be based on what the learner thinks is valuable and how the learning experience helped them. They are grown ups for gods sakes, who generally know more about their job than you. We should trust them to judge if the learning they have experienced has helped them. There is a huge amount of resource out there if you know where to look. This can make evaluation seem big and scary…I think when evaluation is big and scary it is probably taking up too much space in the world.